11street Surprises Malaysians with Incredible 11:11 Deals this November. Let the Madness Begin! Promotions during this period ranges from madness deals under RM11, crazy flash deals, mind-blowing category sales, product discount up to 90% and more! 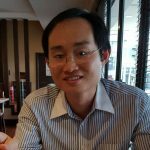 Kuala Lumpur, 29 October 2018 – Everyone’s favourite time of the year is here and it is not the festivities, as you might expect. Something bigger, better and crazier is lurking around the corner in conjunction with the worldwide shopping phenomenon, 11:11. To cater to the 15.2 million online shoppers in Malaysia, 11street, one of the leading online marketplaces in the country, has curated a host of exciting deals and promotions that will make even the smartest shoppers go mad! The online shopping platform will be kicking off the insanity with the ‘Madness Category Sales’ from October 29 to November 10, where customers will be able to snap up selected products and services at shocking prices. During this period, items from categories such as Tech (mobile, IT, electronics), Beauty (health & beauty, fashion), Family (groceries, kids & baby, home & living) and Lifestyle (eVouchers, books, sports, hobbies & gifts) will see crazy slashes in prices. “Everyone loves discounts, especially because with massive markdowns come mad savings! The Shopping Madness 11 also gives us more reasons to reward our customers and thank them for their unwavering support. 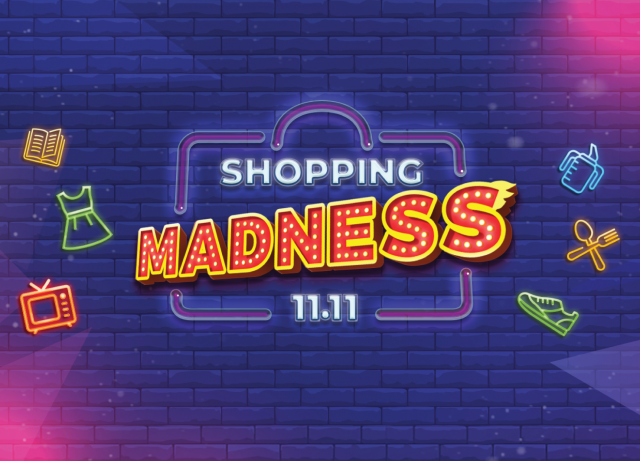 Some may think that we’re out of our mind for when they see the extremely appealing campaign promotions, but it wouldn’t be ‘Shopping Madness 11’ if we didn’t provide deals that would entice the shoppers,” said CEO of 11street, CHEONG Chia Chou. The peak of this campaign will be during the ‘Madness Heaven’ period, from November 11 to November 14. During this time, 11street will be surprising shoppers with product discounts of up to 90%, exciting flash deals and coupons as well as deals under RM11. The madness doesn’t stop there! In a bid to thank their loyal customers, 11street will be extending their sales period, ‘The Madness Continues’, for selected items which are offered at very competitive prices. On top of the free shipping services offered by selected brands, shoppers who are looking for a steal should keep an eye out for the Shocking Deals and Shocking Deals Plus promotions that will leave you in awe. Keeping on to the theme of madness, 11street will also offer exclusive bundle deals and attractive flash deals with up to five (5) sessions a day, increasing the shoppers’ chances of grabbing the items they want most! During the campaign, consumers will enjoy a range of products from participating brands namely 888 Tea & Coffee, Axxel Marketing, Century Battery, Chek Hup Ipoh White Coffee, Chicco, Dale & Cecil, Dettol, Durex, Enfagrow, Eu Yan Sang, Eucerin, Fujifilm, Gintell, Gitaloha Music, Jeoel, Kinohimitsu, Laneige, MamyPoko, Music World, Nestle, Nivea, Oppo, Pentoli, PBH eStore, Pediasure, Pokka, RB Home Care, Samsung, SilkyTrend, Skechers, Soon Thye Hang, Super Malaysia, Sustagen, Tesco, Tradeshoppe, Tronsmart, Unilever, Vivo and Watsons. As a token of appreciation, customers who spend on 11street during this period will also stand a chance to dine with local social media influencers, hosted by 11street. Find out more about the contest on 11street’s Facebook page. 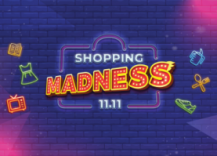 Shoppers can now enjoy the ‘Shopping Madness 11’ campaign by heading over to https://promotion.11street.my/madness-campaign. Customers can also download the 11street.my app on iOS or Google’s Play Store.